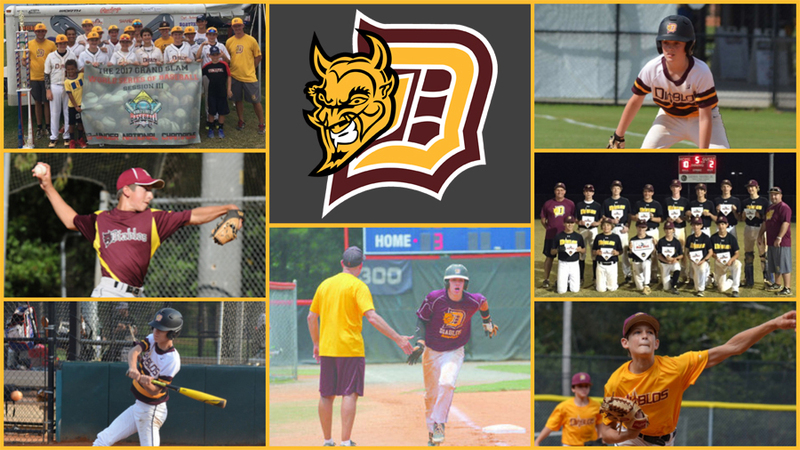 Dunwoody Senior Baseball (DSB) is proud to be the home of the Diablos travel team for ages 13 to 16, and to be a host field for some of the tournaments that they play in. The Diablos teams are run independently from DSB. Each July, the Diablos hold tryouts for their teams. Teams practice at the Brook Run Park Baseball Fields and the Atlanta Jewish Community Center during the fall (late-August through mid-November) and spring (late-April through late-June). Diablos teams do not play in tournaments during the DSB Middle School League season (late-January through mid-April). Complete information about the Diablos can be found at DiablosBaseball.net.